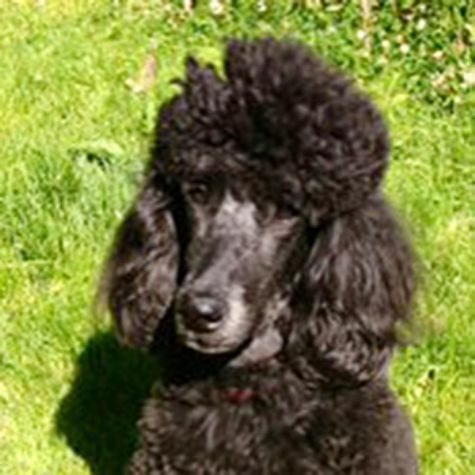 My name is Chanel, and I am a standard poodle. I'm a lovable, smart girl, who loves to prance. Even though I go to obedience school, I still love to chew on my mom's shoes. I sneak into her closet, grab her sneakers, and run for my bed. I also love to chew on anything I can find in my mom's trash can, especially paper which is very fun to shred. But what makes me happiest of all is bringing a smile to the patients we visit as a therapy dog for Love On 4 Paws.